EDIT: Do not use version 0.1.7, it has a bug on 68030 CPUs. See below for newer versions of YAART RAM tester. it always bothered me that RAM test software for the Atari was mostly very simplistic in their test algorithms. There are much better ways to find (especially subtle) faults, which are for example used by Memtest86 on the PC. So I ported a selection of these tests to Atari. I humbly named it YAART, Yet Another Atari RAM Test, but I think it provides better test coverage that the usual RAM test software for Atari systems. You will find YAART beta version v.0.1.7 attached to this post. YAART.TOS only runs on ST-type machines (ST, STE, MegaST, MegaSTE), does direct hardware access and can thus test almost all RAM, including screen memory and -- to a lesser extent -- also memory already in use by TOS. However, I still recommend a clean boot from a floppy disk without drivers or AUTO-start programs. YAARTTT.TOS should run on any Atari machine. It can test ST-RAM and Alternate RAM/TT-RAM, but only memory that is currently unused. So a clean boot is even more important here to maximize coverage. After start, YAART/YAARTTT will repeatedly test memory and print the current iteration, the number of errors and the address of an error found. Press and hold ALT to terminate the program. Also note that it's a beta version that may still suffer from bugs. Last edited by czietz on Fri Dec 09, 2016 6:06 pm, edited 1 time in total. Awesome stuff! Thanks for coding this, I know it will be really useful for me! New beta version v.0.1.8 fixes YAARTTT.TOS to avoid crashing on 68030 machines (TT, Falcon). great stuff... thank you for doing this! i´ll be sure to test and provide feedback. Thanks for this tool Czietz. It will help me too. New beta version 0.2.0 of YAART. Most notable new feature: A (semi-)hidden manual address entry (expert) mode in YAARTTT.TOS that allows you to test memory that is not registered with GEMDOS, e.g. on an add-on video card. See the included documentation for more info. Last edited by czietz on Fri Dec 09, 2016 8:01 pm, edited 2 times in total. czietz wrote: New beta version 0.2.0 of YAART. Most notable new feature: A (semi-)hidden manual address entry (expert) mode in YAARTTT.TOS that allows you to test memory that is not registered with GEMDOS, e.g. on an add-on video card. See the included documentation for more info. To everyone who downloaded version 0.2.0 prior to this post: Please redownload, I accidentally added a version of YAART.TOS with debugging code to the archive. This has now been fixed. Sorry. Can someone try running this program on a stock falcon ? Interested to see if anyone gets random write fails.. I just get 1 address fail once, after 5-15 test loops, but it only fails once. So interested to see if anyone else sees this problem.. would need to leave tests running for 20-30 passes (with 14MB ) to be sure (could take a long time). I've a problem with a 1040 STF. The 1Mb is composed of 32 chip. It is possible to scan only the first 512Kb, and after the last 512kb ? There are no logic with the numbers written on the motherboard. The blue Chip are for the first 512Kb, and the red, the second bank of 512kb. Is a way to test each chip (i think not), or a software to do ? Is my stf could boot with a missed chip on the motherboard ? To fix my problem, i bought on ebay 32 capacitors of 220nF to replace all next the chips. (waiting to receive it). Or, better way, is the 1040stf should boot, if i remove R71 / R72 / R73 and let all the chip on the motherboard (like this i think my 1040 become a 520) and test only fist 512kb ? 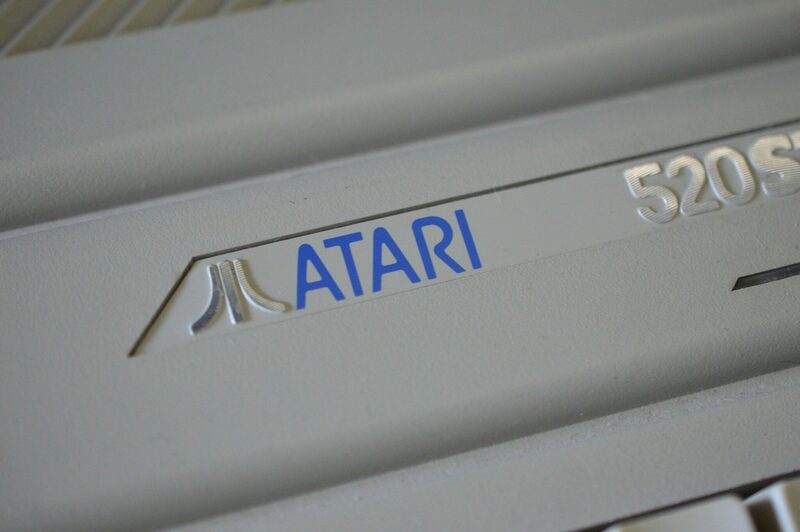 If yes, if the 1040 boot with 512k, and test are ok, if i resolder R71/R72 / R73 and dessolder R62 / R63 / R64 will my atari boot could boot with 512kb, on the second bank ??? If i ask some technical question like this, it's because it's not an STE with a SIMM module :/ and evitate to desolder 32 chips who had 16 pads ... so 512 pins :/ with the capacitor... 32 * 2 (64 pins too), the resistances 6 * 2 (12 too). In fact i have to desolder 512 + 64 + 12 = 588 pads !!! In YAART 1.8 i got errors in 0x046a50. New version 0.2.1 of YAART and YAARTTT RAM testers. You can now pause it after an error message (to better that message) by pressing and holding the SHIFT key. czietz wrote: New version 0.2.1 of YAART and YAARTTT RAM testers. You can now pause it after an error message (to better that message) by pressing and holding the SHIFT key. Awesome, thanks for keeping it updated! Surely the point is for it to have the minimal amount of RAM footprint? There will definitely be no GEM app! Dal is totally right: the amount of memory used by YAART needs to be kept as small as possible. Also I don't see the point: what would be the benefit of a GUI in this case? Thank you for creating such a useful (and reliable) piece of software! I really appreciate having a quick and straightforward method to perform a reliable mem test on the ST.
- I see that all RAM lines are connected to U15 (MMU), but this problem has a common pattern, perhaps a bit inverted?. May it be related to 74Ls (U22,U23,U26,U27) or to the shifter (U31 - DMA)? As you have already pointed out, it's always the same bit that is affected, more specifically the most significant bit, i.e. data bit 15 (D15). The ST (usually) has an individual RAM chip for each bit of data, so the one for D15 would be my first suspect. In the schematic you posted this is U45. Note, however, that there were many revisions of the ST mainboard, so maybe this chip has another number on your board. The next suspects indeed would be the latches U22 and U26, as they are also needed for D15. czietz wrote: As you have already pointed out, it's always the same bit that is affected, more specifically the most significant bit, i.e. data bit 15 (D15). I will check the U45 with oscilloscope the U45 RAM chip and the U22 and U26 to see if there is any unexpected behavior. I'll keep you posted with the results. Apologies for not being able to update the status since my last message. I've replaced the U45 ram IC, however the problem remains, so I will try to replace the U22 74LS373 as it's the only latch I have. Hope this time will fix it. Checked both 74LS373 and 74LS244, but according to my motherboard (rev. 070789) those were marked as U57 and U60, so I assumed that the IC I replaced did not correspond to databit 15 and find out other schematics for STFM. So, after replacing U3 the results were as expected: tests passed!! Big thanks to all for helping diagnosing this failure and keep the good work with this excelent testing tool.